﻿From just learning more about bees to hands-on management of a hive, our classes focus on sustainable, chemical free, and alternative beekeeping practices especially designed for urban hobbyist backyard beekeepers. Our classes are limited to ensure all attending receive a quality program. We offer adult classes and children's classes. See the calendar below for available scheduled classes. If you would like to schedule one of the classes for a group or school, please contact us. All public events will be listed on the calendar below. Once you have taken the Introduction, get your hands in the hive. Find out what it is like to actually handle the bees. Learn when are the best times to inspect the hive, how to properly protect yourself from the bees, how to use a smoker, how to use the wind as a tool, and what to look for when inspecting a hive. We will inspect multiple colonies to compare and contrast the various aspects of each. This class is always an adventure! For this class, participants will have to wear protective suits. Call to see if we have enough suits and enough of the right sizes available. Participants must provide their own gloves. No children under 8. 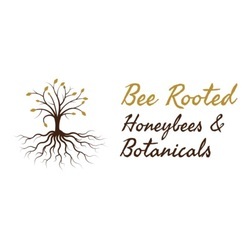 - TO BEE ANNOUNCED AS WE ARE DEVELOPING OUR POLLINATOR SANCTUARY CLASS APIARY. CONTACT US TO BECOME A SPONSOR AND GET AN AD AT EACH LOCATION.